Well, “HD” might be a little overstated. 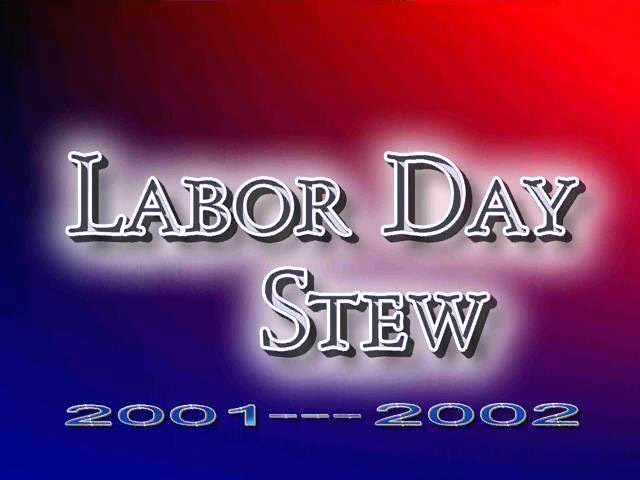 However, this much anticipated re-release of Labor Day Stew is in a much higher quality than the original that was first published in 2002. 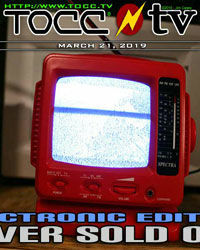 The original video was published at 320 x 240 at 15 fps making a 5mb wmv. Today’s HD version is finished at 640 x 480 at 30 fps making a 30mb mp4. The new release is the same as the original except for less than 1 sec. that I cut where a filter had not applied correctly, and I have added the www.TOCC.tv watermark. Unfortunately, I was unable to remake the video from the original raw footage and project files, which were not saved, or have become lost. Back then, a 20 gb hard-drive was big, but not big enough for me to make room for the massive large files that would have resulted from producing the highest possible quality full sized AVI file. In short, I did save the original production in two avi files – the first was 320 x 240 at 30 fps, the second was 640 x 480 but only at 15 fps. Both of those were still several hundred mbs. So, for the HD released today, I had to choose between definition or smooth and finally settled on using the larger 640 x 480 at 15 fps for sharpness, which actually smoothed out somewhat when converted to the 30 fps mp4. Back in the day, the Internet barely had video, and in fact I was publishing even smaller videos 192 x 144 before any MSM TV stations. The Internet simply couldn’t handle much more than a mb or two when most everyone was still on dial-up. When I first published Labor Day Stew I anticipated a time when I would be able to do exactly what I am today. So, what is Labor Day Stew? Watch it! Mostly it’s about 911 and it’s aftermath. 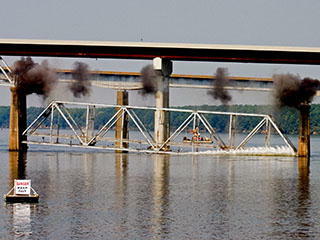 It is intended to be visceral, and a montage of the “flash backs” and the “flash forwards” and the different thoughts and worries and fears that were immediately evoked by 911, and the the so-called reality that “everything has changed.” It isn’t however, meant to be a political statement or endorsement or opinion about anything. Of course, you are free to see what you will, which may not be much of anything, depending on your particulars. It is also a benchmark, both for myself and the Internet. For me because it was a cutting edge production for the medium. 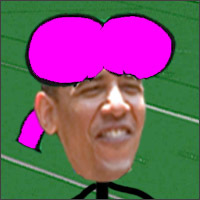 I probably spent 80 hours editing and cutting and converting. I didn’t use a story board either. Duh. But there are some underlying strings of thought that may or may not fit together perfectly well. I.e. don’t try to read to much into it. It’s supposed to be that way. Part of the reason for the time involved, again, is that all those cuts and edits totally stressed my 800 mhz computer with a small amount of flash. I had to save frequently, sometimes starting over and over when it got glitchy. Finally, it’s not a drug video. The name did, however, start off to be a deliberate play on the LSD song – Lucy in the Sky with Diamonds. When I wiggled it around and came up with “Labor Day Stew,” Labor day then became a flashback to the weekend before 911 and a presumptive, ominous and foreboding tone. You might also notice there are three defined sections reflecting the three day weekend. Also in my mind when making the video was that Stanley Kubrick had died in 1999, and I fancied some of the scenes as a play on the themes in 2001: A Space Odyssey. There are some truly interesting metaphors and parallels between 911 and 2001: ASO, and by extension Labor Day Stew, and so I actually think of Labor Day Stew as a sort of sequel to 2001. Or, maybe it’s the other way around! At the time I unofficially dedicated Labor Day Stew to Stanley Kubrick’s memory. ENJOY! And, have second helping if you like. SWOOSH !!! I don’t really think that Jeff Cook has been hanging out on the square in downtown Huntsville for 107 years. 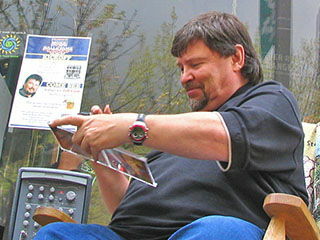 The photo above was taken in 2005 when the fiddler guitarist of legendary country/pop band Alabama stopped over in Huntsville to sign autographs at the historic Harrison Brother’s Hardware store in downtown Huntsville. The band was inducted into the Country Music Hall of Fame in 2005.